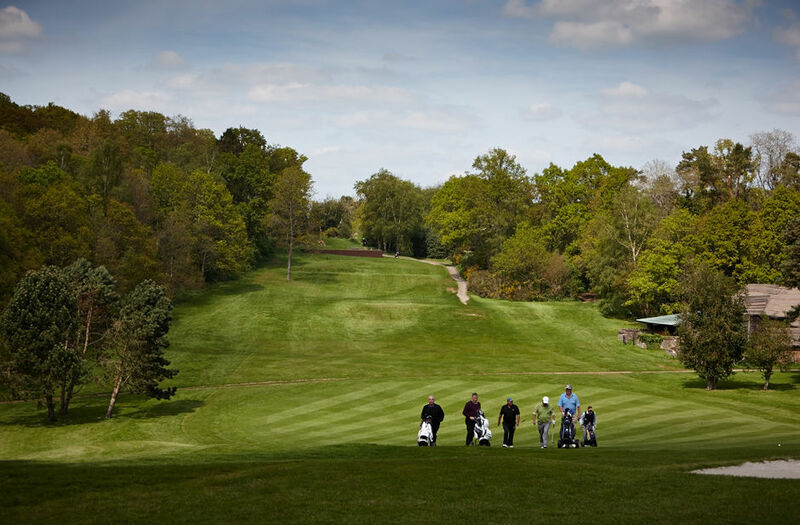 The Benefits of Playing Golf :: West Surrey Golf Club located near Godalming, and close to Guildford, is a friendly private members club blessed with one of the finest courses in the South East of England. Golf stimulates passion and addiction. If you think it’s not exercise, just read every single one of these reasons why golf is (or may be) the best sport ever. It prolongs life. More than any other sports? Probably, since people who play golf are total athletes. Not many sports make you walk fast, spin and bend down for an average of 4 hours along 6 miles. Certainly, this revitalises muscular flexibility. Scientific research has concluded that playing regular golf increases life expectancy and general health. It is the only game where all participants of the game can compete against each other regardless of ability; golf's unique handicapping system gives every player the chance of occasional glory. It's a game for the all generations. Golf is one of the few sports that can be enjoyed from your childhood to the very last day of your life. It improves concentration. Golf swing is a cure for stress. Every player must study himself and all the elements that take part in the game, from the wedge to the air. This self-analysis teaches you how to remain focused, forget your outer worries and improve your mental health. A few hours playing golf feel like mini holidays. Once you have tried it you will be hooked (pardon the pun). This sport releases endorphins. Due to its level of difficulty, there will always be room for improvement. You will want to learn on a daily basis, perform exercises, read books and blogs, take lessons… Golf will become a personal challenge. It makes you friendlier. You can chat and mingle, while you exercise on the course. Golf is a sport meant to not only sweat but to also share moments and emotions with family and friends. After 18 holes and a 4 hour-game, it's time for after hours to try nice dishes, a glass of wine or a beer. It provides principles. In golf there are rules that make you behave yourself, stay well-outfitted, protect the countryside... Etiquette rules that may be applied to other aspects of your life. It returns you to nature. Golf is a tranquil activity in which you are surrounded by nature. What can you see? Trees, wildlife, birds as well as the emerald green turf. When playing golf, you can enjoy sunshine and fresh air. In a nutshell, you are filled with life while performing your swing.